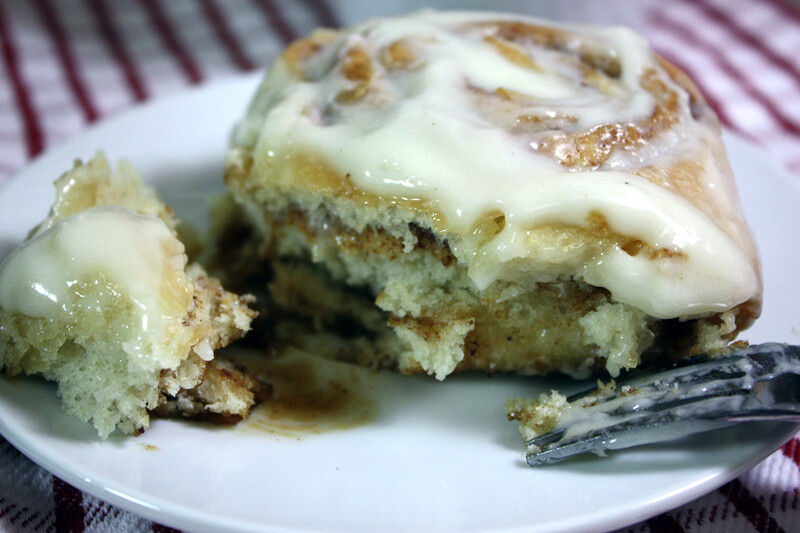 Are you trying to cut sweeteners from your diet? 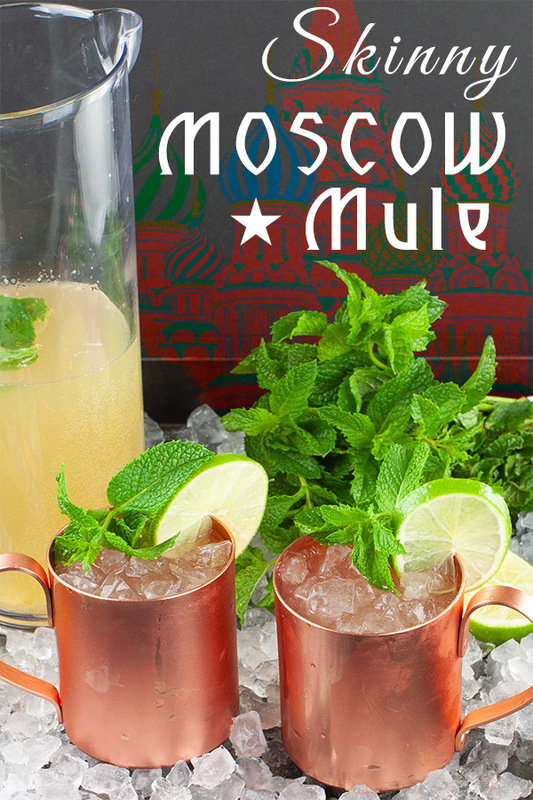 Then this Skinny Moscow Mule is the cocktail you’ve been dreaming about! 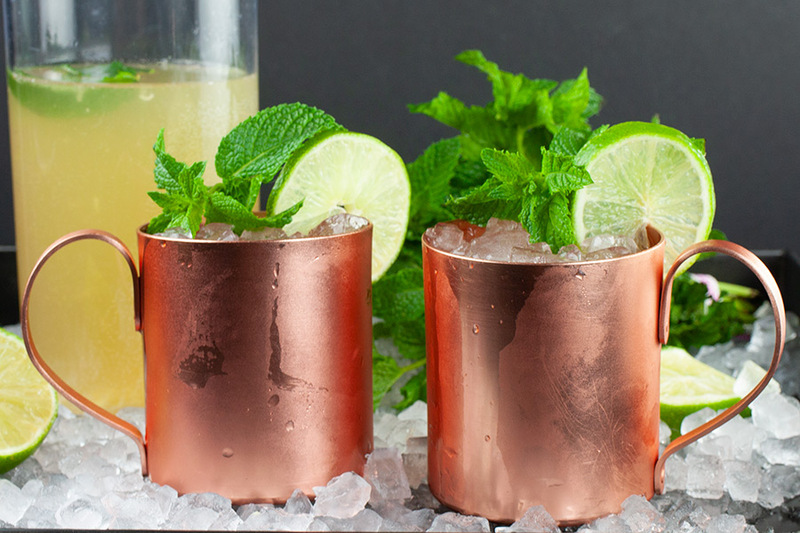 We love a tasty Moscow Mule, Kentucky Mule, or any kind of ginger beer cocktail. 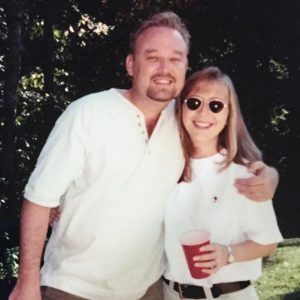 I am/was (because I never stick to a diet) trying to eliminate all sugars from my diet. Yes, even stevia. 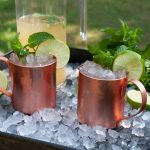 Came across this Skinny Moscow Mule and gave it a try…absolutely yummy! 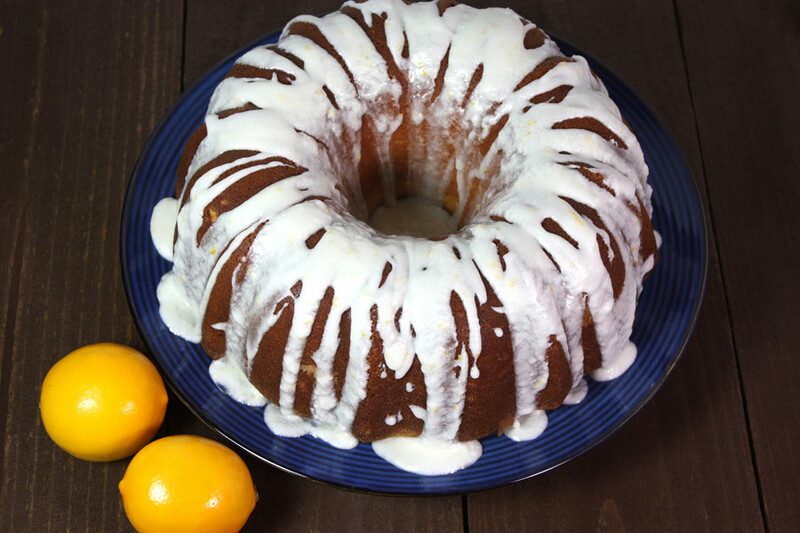 I recently saw a rerun of Dr. Oz with Molly Sims promoting her cookbook. She made this cocktail and we just had to try it. I was surprised how crisp, refreshing and absolutely delicious this drink tasted. Make 1 cup of hot green tea, add a 1-inch piece of fresh ginger and steep for 10 minutes. Chill. 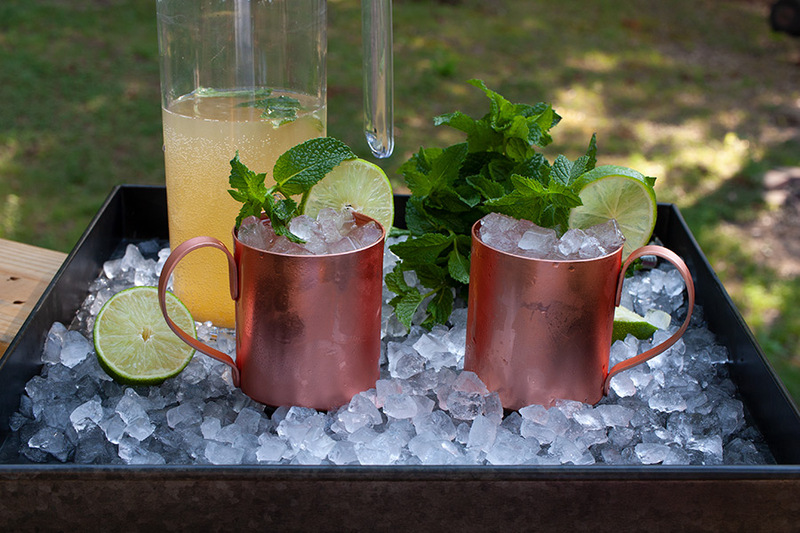 Muddle the green tea, grated fresh ginger, lime juice, and 2 or 3 fresh mints leaves. We had to do this in a wide-mouth jar because our pitcher was too tall. 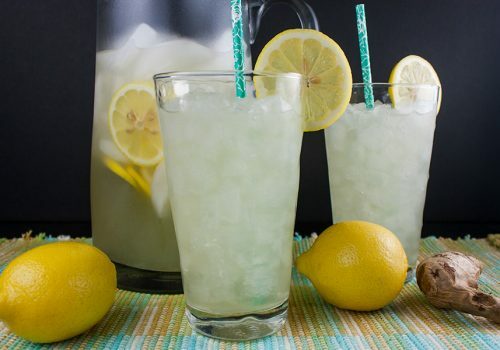 Pour the muddled ingredients into a pitcher, add 1 cup of your favorite vodka and 2 cups of sparkling water. Molly Sims used a ginger flavored sparkling water but we couldn’t find any in our area. So we made adjustments to the recipe. 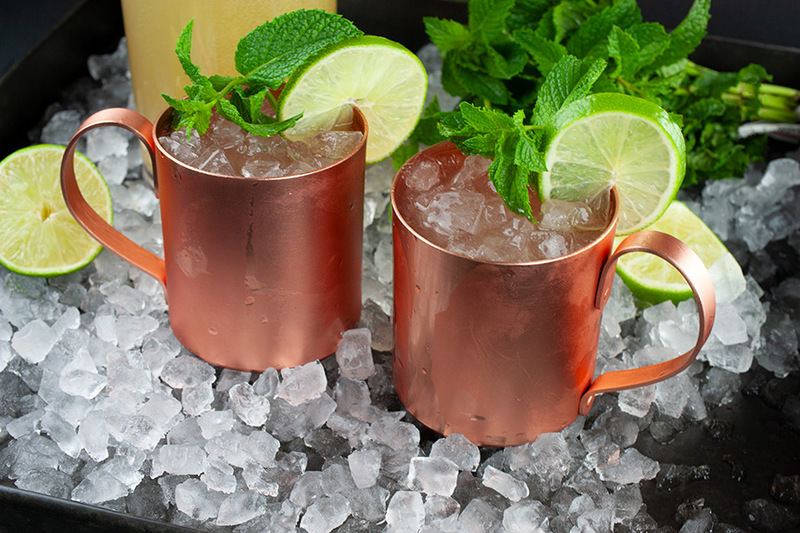 Fill your copper mugs (or any other glass) with crushed ice and pour the cocktail into each cup. 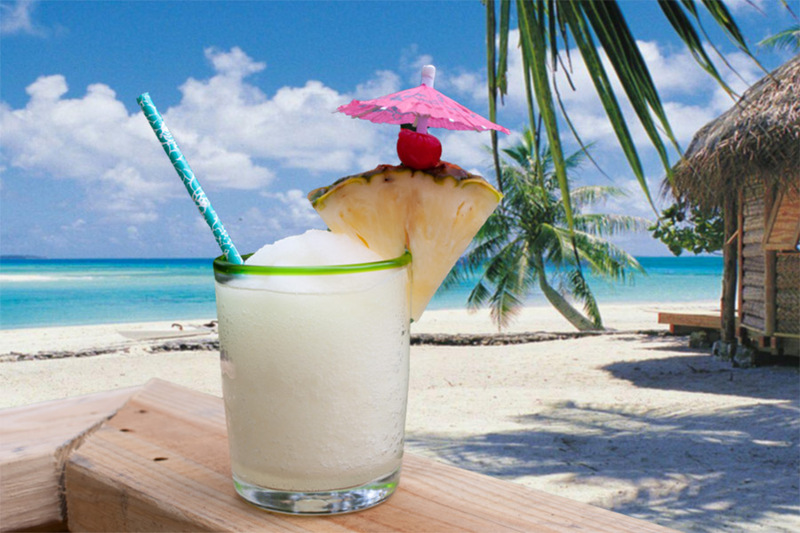 Enjoy this guilt-free cocktail! Do I prefer the sugar loaded ginger beer better? Of course, but when trying to trim the pounds this cocktail was completely satisfying. Next time I think I will try cutting the fresh lime juice back to 1/3 cup instead of 1/2 cup. 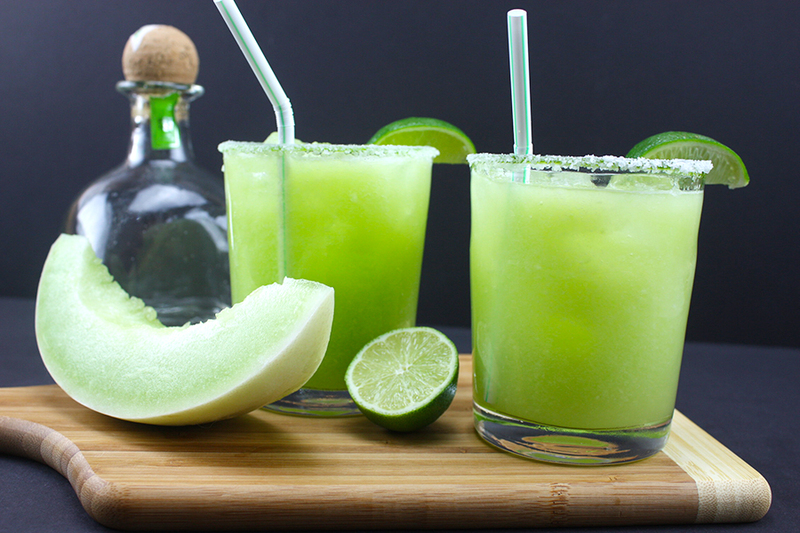 It might be a little too much lime juice for some, so cut back if this applies to you. 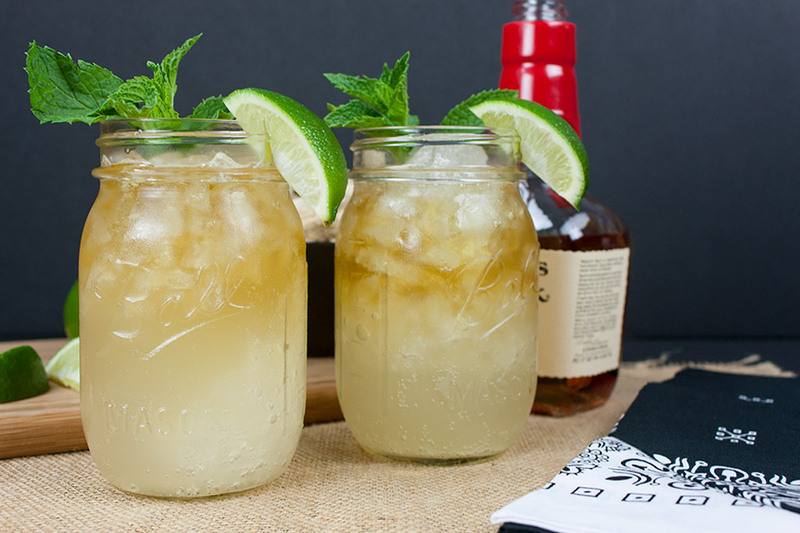 Skinny Moscow Mule - Sugar-free cocktail! Yes, no added sweeteners at all. 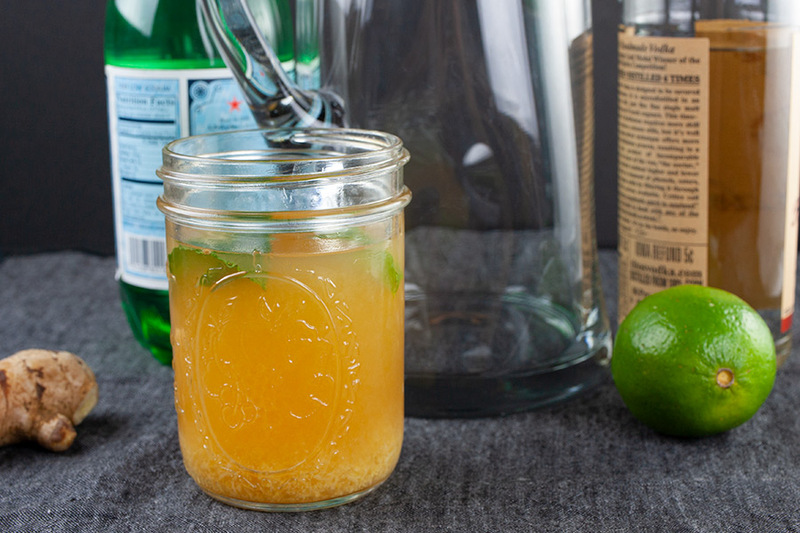 Crisp, light, and totally refreshing. It's five o'clock somewhere, right? Muddle green tea, lime juice, grated ginger and mint leaves in a wide mouth jar. 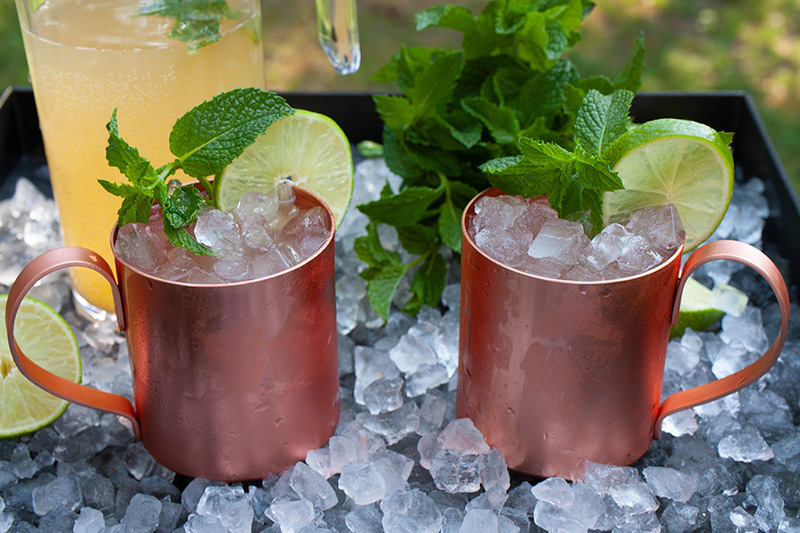 Fill copper mugs or glasses with crushed ice, pour the cocktail over ice and serve with a garnish of one lime slice and a sprig of fresh mint.